Details Egyptian blue is a copper calcium silicate that was the first synthetic pigment and the most extensively used from the early dynasties in Egypt until the end of the Roman period in Europe. The invention of the process of manufacturing Egyptian blue during the first dynasties of ancient Egypt, beginning about 3100 B.C.E., was a consequence of other technical developments. 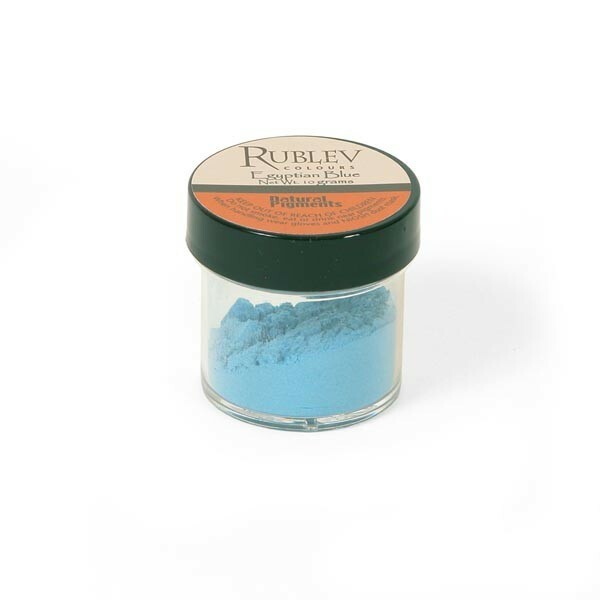 It has been suggested that a blue frit was developed for use as a glaze and later as a powdered pigment. The pigment Egyptian blue was always a manufactured product. The pigment is made by combining quartz, chalk (calcium carbonate), malachite (copper carbonate) and soda ash (sodium carbonate) and heated from 900° to 1000° C.
Egyptian blue is completely stable in all vehicles. It is completely light fast. Egyptian blue was mixed with different pigments and used with lime on frescoes. 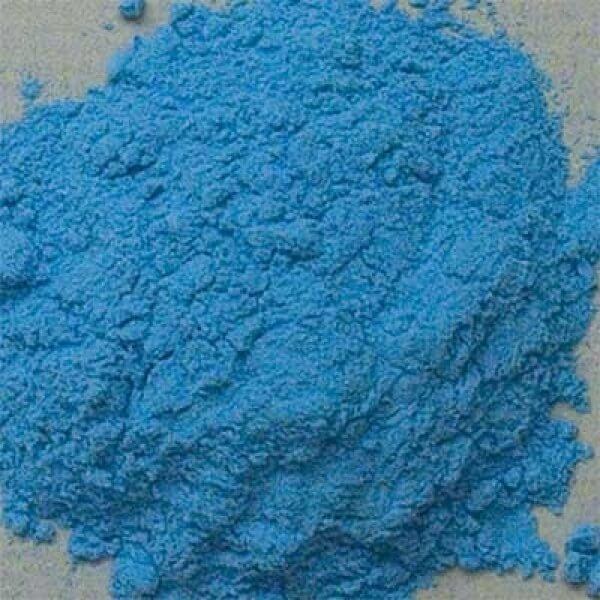 Egyptian blue absorbs a small amount of oil (22 g oil per 100 g of pigment). Egyptian blue contains cooper, which is rated as toxic from prolonged exposure if inhaled or ingested. Care should be used in handling the dry powder pigment to avoid inhaling the dust.